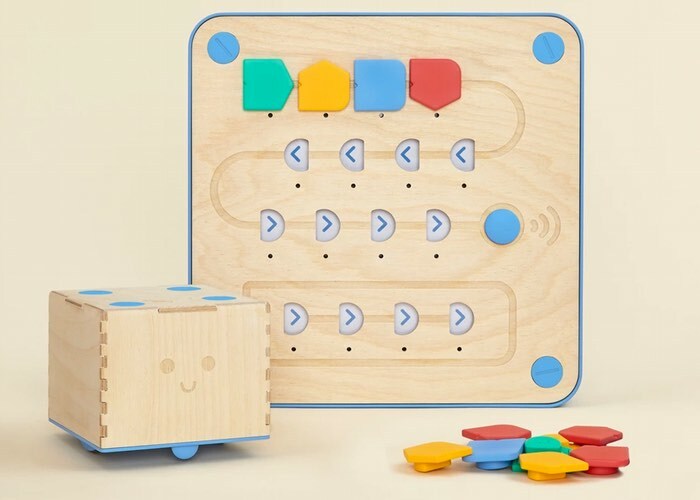 Primo Toys developed a new programmable toy called Cubetto that has been designed to help toddlers from the age of three start to learn how to program and code without being tied to a tablet screen or computer. The innovative interactive toy has been Montessori approved and is a coding toy designed for both boys and girls powered by a tangible programming language say its developers. Watch the demonstration video below to learn more about this unique programmable toy which has taken to Kickstarter and already raised over $100,000 with still 29 days remaining on its campaign. Its developers explain more about the programmable toy which has been LOGO Turtle inspired. Cubetto is a wooden robot that wants to be told where to go and how to get there. A smiling companion capable of motoring his way through any adventure. Children help Cubetto find his way home by writing their first programs using a set of colorful coding blocks. Children can use it even if they can’t read yet, so no matter what language they speak, hands-on coding is at their fingertips. Cubetto combines Montessori learning principles with computer programming concepts. We sold, hand-built, and shipped over 800 early prototypes to educators and parents in over 40 countries to test our assumptions. Coding is a basic 21st century literacy, and one our children can’t afford to miss out on, but if you made it this far, you already know this! Starting young gives them an edge, and starting with something fun, that they actually enjoy, means they learn faster and better. For more information on the new Cubetto jump over to the Kickstarter website for details and to make a pledge from $45.